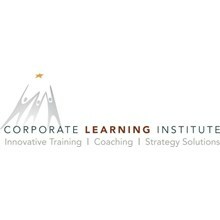 We’re The Corporate Learning Institute, and our services span your performance needs from developing effective individual contributors, managers and leaders to creating the strategies that will build your future success. We partner with you to determine your needs. Then, we create a personalized solution-whether it is workforce performance skill building service, coaching programs or a tactical strategic plan. We deliver innovative instructor-led training classes, personal coaching services and strategic facilitation coaching that fits your time and budget. We monitor and evaluate results and offer you feedback on both gains and your next step opportunities. We are the experts in training, coaching and strategic facilitation. We bring in the best content expertise and blend it with your culture and specific needs. CLI staff is an unusual blend of credentialed, seasoned practitioners with the incredible ability to relate to you and your people. But then we have had years to master the things you need most-effective performance and strategy solutions. We’re in on the action. We’ve discovered that the most effective way to inspire and motivate is through action learning—or learning by direct application. Learning by doing, or experiential learning, engages every single person in every single training, development, coaching and strategy session we offer. Action learning is simply anything that gives your people hands-on learning opportunities. In a classroom, we offer breakouts that challenge participants to experience trial and error learning rebound and apply lessons forward. In coaching, we give action assignments in real time so coachees can apply key learning’s. In our strategy sessions, we bring remarkable visual materials, research and case studies to inspire your people to greater strategic thinking.